How Chinese is the “Chinese mom”? Amy Chua’s Battle Hymn of the Tiger Mother, a memoir about raising children “the Chinese way,” has provoked, well, a reaction. An excerpt in The Wall Street Journal received more than 7,000 online comments; Facebook posts have reached the hundreds of thousands; and The New York Times alone ran five articles on the book in a single week, all thanks to only-half-facetious passages like this: “[T]he Chinese mother believes that (1) schoolwork always comes first; (2) an A-minus is a bad grade; (3) your children must be two years ahead of their classmates in math; (4) you must never compliment your children in public; (5) if your child ever disagrees with a teacher or coach, you must always take the side of the teacher or coach; (6) the only activities your children should be permitted to do are those in which they can eventually win a medal; and (7) that medal must be gold.” As Chua recounts calling one daughter “garbage” when she failed to pass muster, as well as hauling the other daughter’s dollhouse to the car, threatening to donate it “piece by piece” to the Salvation Army if she didn’t master a certain song on the piano, many of the comments are naturally about parenting; and certainly the question of whether Chua’s methods amount to child abuse is a hot button. 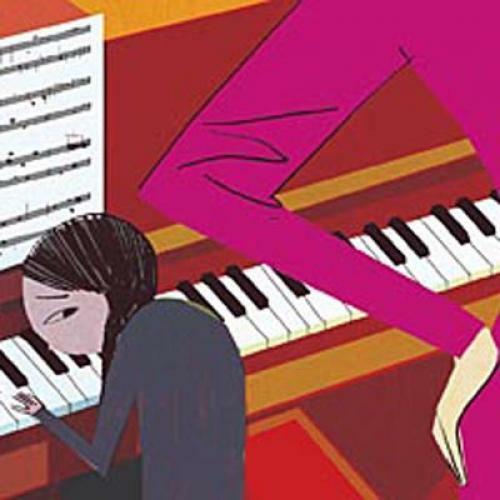 So, too, is the question of how much discipline is good for a child, especially since Chua has apparent results to show for her wicked ways: straight-A report cards and her older daughter’s piano debut at Carnegie Hall, made while she was in the eighth grade. Yet, for all the talk about self-esteem and mother love, a large part of the reaction is plain American insecurity. As Business Insider, an online magazine, proclaimed, “If the goal is efficiency, excellence, and success, it would seem that this Chinese mother, at least, has most American mothers beat. And it’s not hard to extrapolate that superiority toward a future world in which China wins and Americans dream of glory days when we were hungry, committed, and self-disciplined, too.” Can we really extrapolate such a future world, though, from Chua’s book? Indeed, is “the Chinese way” it extols even, to begin with, Chinese? A bit of context: Chua is the American-born daughter of ethnic Chinese parents raised in the Philippines. As such, she is heir to all that has made Chinese culture what it is. This includes an enormous population; a shortage of arable land; the ever-present threats of famine, invasion, and chaos; a corresponding emphasis on hierarchy and control; and the centrality of exams as a way to move one’s family up in the hierarchy and, in many cases, out of the jaws of misery and starvation. The traditional lore is full of stories about scholars whose families scraped and saved to support their studies, as well as scholars who successfully passed civil-service exams, attained official positions, and were then able to return their families’ help; academic achievement in China has never been academic. And, while the imperial exam system ended in 1905, the strong association of education with survival has endured. My own Chinese father, for example, was able to leave China during World War II as the result of an exam, and the National College Entrance Exam, the gaokao, dominates the lives of students in China today to a degree almost unimaginable in the United States. A highly driven, goal-oriented approach to learning underlies Chua’s “Chinese way” and must be taken into account by anyone trying to understand China today. But, in the 1920s and 1930s, Chua’s grandparents decamped from their native Fujian province for the Philippines, and this, too, has shaped Chua’s Chinese-ness. Her family did find the greater opportunity they sought: Chua’s grandmother made a fortune making packaging for Johnson & Johnson. Living, though—as many Chinese in Southeast Asia still do—at the apex of their society, the Chuas both enjoyed the fruits of their position and dealt constantly with an understandably hostile native underclass. Chua describes, in an earlier book, World on Fire, how her aunt was knifed by her chauffeur in her living room: “I could not understand my relatives’ matter-of-fact, almost indifferent attitude,” she writes of her family’s reaction to the murder. “Why were they not more shocked that my aunt had been killed in cold blood, by people who worked for her, lived with her, saw her every day? ... When I pressed my uncle, he was short with me. ‘That’s the way things are here,’ he said. ‘This is the Philippines—not America.’” Chua goes on: “I will never forget the entry in the police report for [the chauffeur’s] ‘motive for murder.’ The motive given was not robbery, despite the jewels and money [he] was said to have taken. Instead, for motive, there was just one word—‘Revenge.’” Is it really hard to imagine that Chinese-ness as Chua understood it might be edged with vigilance? It could be that many a Chinese mother would refuse, as Chua does, to let her children go on sleepovers or participate in school plays. These things seem to me, though, to bespeak insulation as much as discipline and to signal an interest not so much in finding a place in society as in eking out a spot at its top. However, Chua also describes “a boy in grade school making slanty-eyed gestures at me, guffawing as he mimicked the way I pronounced restaurant (rest-OW-rant),” and recalls, “I vowed at that moment to rid myself of my Chinese accent.” Chinese accent? As a Chinese-American of similar background who speaks English with a New York accent, I can’t help but question whether the accent caused the taunts, or if it was the other way around. (And is it not striking that an American-born woman should count herself a “Chinese mother” to begin with?) It’s true that Chua’s parents were bent on holding onto their heritage: Chua remembers that she was “required to speak Chinese at home [suffering] ... one whack of the chopsticks for every English word accidentally uttered.” Still, one has to wonder how welcome Chua’s family felt in the Midwest and if the reality of America measured up to their dreams. Had they managed to find themselves an isolated minority in a foreign society once again? It seems at least plausible that Chua’s Chinese-ness assumed an import it might not have in other circumstances. But to return to the question: Can we extrapolate something about the future from Chua’s “Chinese way”? Well, yes and no. Those who are spooked by the specter of the Chinese drive to succeed are probably right to be on alert: While not every Chinese is a striver, many are hungry in a way we Americans aren’t and will go to lengths most Americans won’t. And yet, in China, parenting is also changing. While in the countryside old habits die hard, some city mothers are becoming more permissive, according to journalists Huang Hung of The Daily Beast and Melinda Liu of Newsweek; and some parents are bemoaning the creativity-crushing pressures of the schools. (I myself remember vividly the military-like exercises my son did in a Chinese middle school in Beijing, as well as the godlike behavior of the teachers.) I wonder, too, by the way, whether some of the fantastically spoiled “little emperors” produced by China’s one-child rule will really prove the stuff of lean, mean world dominators. It would be unfair to say that Amy Chua’s Chinese-ness is not Chinese: Ethnic enclaves have been known to preserve a home culture in a far more pristine state than does the country of origin. But perhaps we should keep Chua’s personal context in mind before extrapolating too much. Her “Chinese way” tells us at least as much about migration and identity and yes, America, as it does about China today. Gish Jen’s most recent novel is World and Town. This article ran in the February 17, 2011, issue of the magazine.